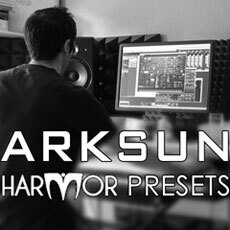 Arksun makes high quality soundbanks (soundsets) for VST/AU soft-synths all with Arksuns unique signature sound. He only make presets I would be happy using myself in music production. Some sounds may be familiar but the primary emphasis is on creating interesting sounds, rather than attempting to copy only well known ones. NOTE: Why not check out the Arksun Harmor Demo Contest tracks made only with these sounds. Note that these presets can only be used in the registered Harmor Plugin. available for $149 USD in our web shop.